The Multi Color Replacer allows you to replace multiple colors in an animation. 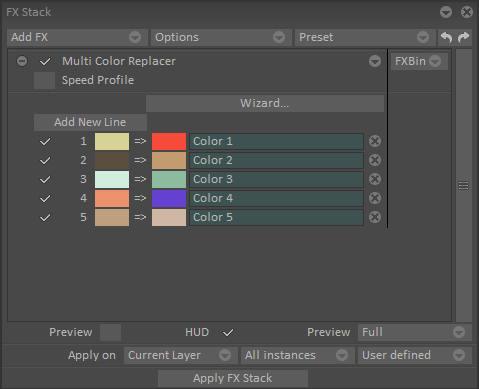 In the main menu click on Effects > Color > Multi Color Replacer to open the FX Stack with the effect. 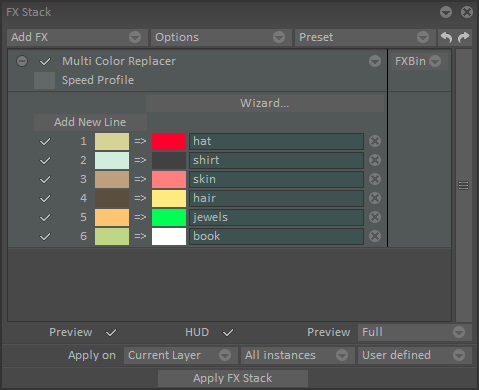 Or directly click on the FX Stack icon and click on Add FX > Color > Multi Color Replacer. 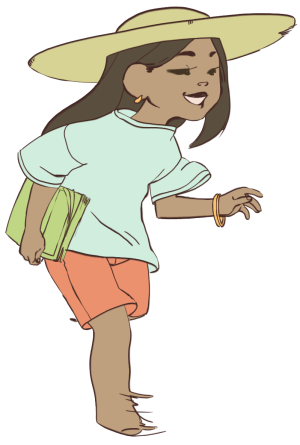 In our example, a running character, we will change the color of the hat for all the instances of the animation. Click on Add New Line, the first color is the initial color and the second is the new color you want to replace it with. Click on the color then pick the color you want to replace it with. You can rename the changing color, here “hat”. And apply the effect on all instances. 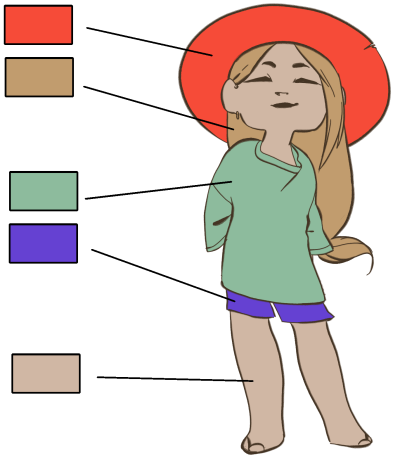 We can see that the color was replaced on every instance of the layer. The colors that you want to replace must be plain, without differences of opacity or antialiasing. You can then add other lines and change every other color the same way manually. 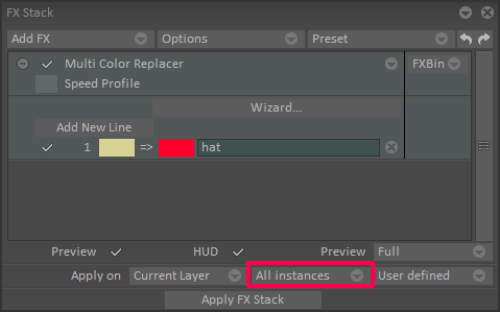 There is another way to set the configuration of your color replacement using a reference. 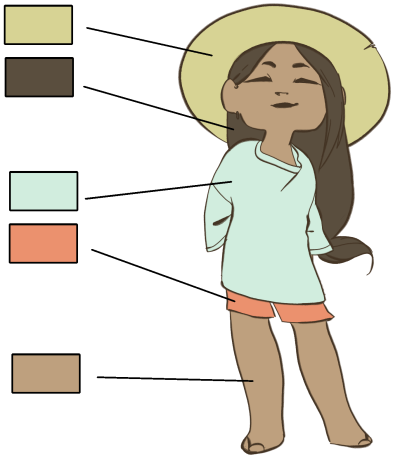 You can use a model sheet as a reference, to do so, open your model sheet in another project with two images: one with the original colors and another with the new colors. Your two reference images must have the same definition and the colors must be at the same location in the image. Isolate your colors in a separate layer. 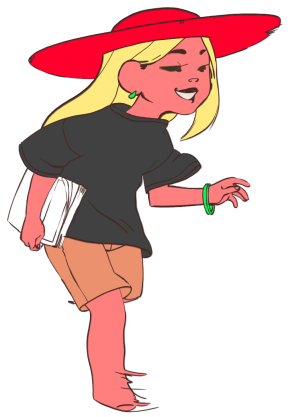 Open the library by clicking on the icon library, right-click in the library window that appeared and choose Add current layer image and repeat the operation for the second color reference. You can also change the name of your images present in the library. Once it is done, open the Multi Color Replacer effect and click on Wizard. Set the source image and choose in the library the original colors, to set the destination image choose in the library the new colors. You will get the same setting as shown earlier above where you can change the names of the colors. In Preset choose Add, and enter the name you wish to give to your Multi Color Replacer preset. This will allow you to access this preset in another project. If you open your animation project, in the FX Stack click on Preset where you can find your saved preset. 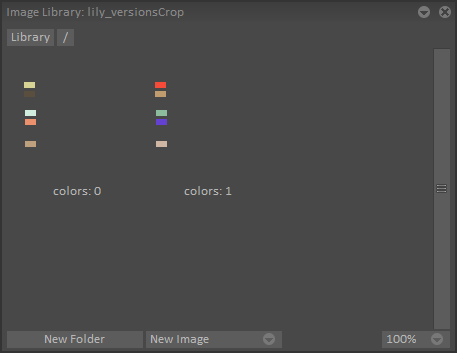 It will open the effect Multi Color Replacer with your color parameters as shown above. You can still modify those parameters. Click on Preview to activate the effect. 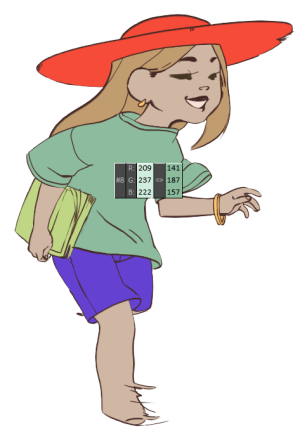 If you hover over your colors in the drawing area with your cursor, an information window appears next to your cursor with the RGB values of the source and destination colors. 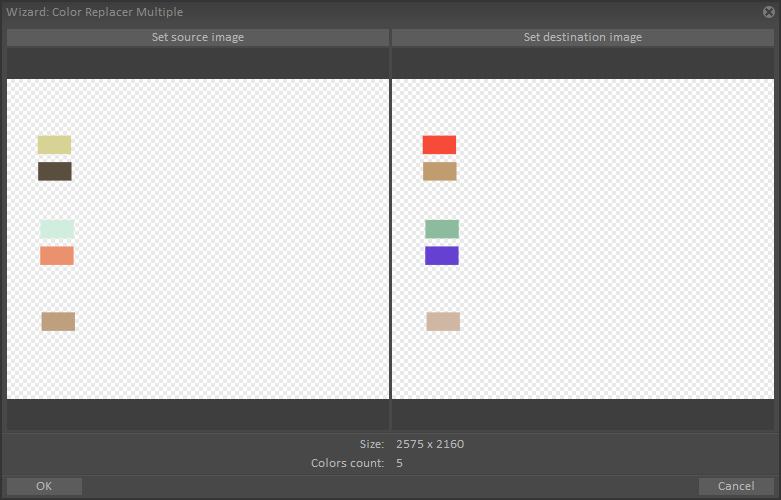 Finally, apply on all instances in order to replace the colors on all the instances of the layer.